The Alhambra on Lake Marlin villas have all the comforts of a single family home, but the exterior maintenance is taken care of for you. Enjoy 1,735 square feet of air conditioned living area. This is the larger of two floor plans in the community. 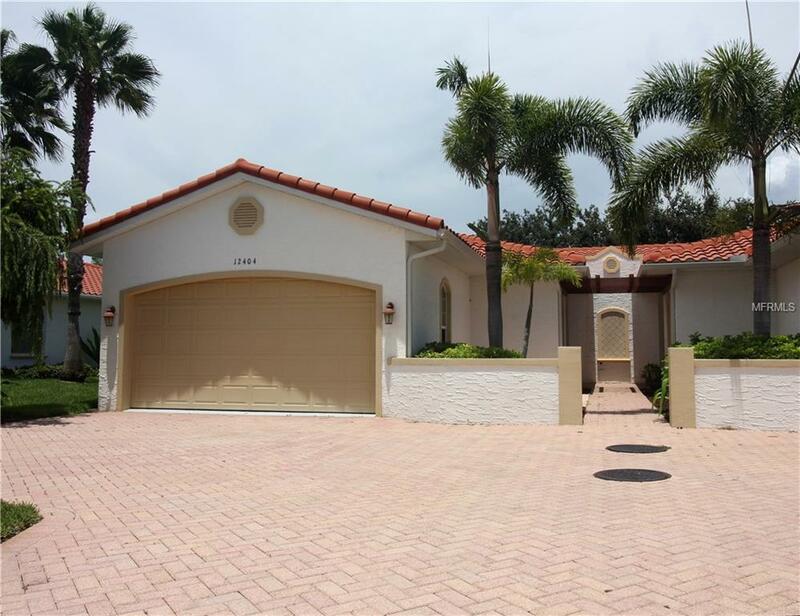 This 3 bedroom, 2.5 bath, 2 car garage villa is move in ready. It can be available partially furnished. The great room, with living and dining areas, overlooks Lake Marlin and has a triple sliding glass door to the twenty foot long screened lanai with tile floor. Tile floors throughout the living areas, just the bedrooms have carpet. The kitchen is sure to impress with stainless steel appliances included, plenty of cabinet space, granite counters, and walk-in-pantry. There is a half powder room bath for guests. The master suite has a triple sliding glass door to the lanai, huge walk-in-closet, and master bath with double sinks, soaking tub, and shower. Each guest bedroom has a walk-in-closet. The guest bedrooms enjoy a bath with double sinks and shower. Luxury details include 5 1/4" base molding, crown molding, and 8' tall doors. Even the laundry room, on the way to the two car garage, is well appointed with lower/upper cabinets, countertop, sink, washer, and dryer. Enjoy the clubhouse with covered lanai, grill, and heated, screen enclosed pool overlooking the lake. Community of only 18 villas, located in the preferred X flood zone, serviced by county water/sewer, and underground electric & cable. 33981 zip code is East Englewood, Gulf Cove, South Gulf Cove. Additional Lease Restrictions See Condo Docs. Page 22 Of 27. Pet Restrictions See Condo Docs. Page 22 Of 27.